The Centre’s stance of labelling Rohingya refugees as ‘illegal migrants’ and ‘national security threats’ has deeply impacted their lives. In particular, Rohingya children in India stand to lose out on what should be a basic right for them: their education. How is the deployment of India’s ad-hoc refugee policy depriving Rohingya children of basic standards of education? Discover the lives of Kelambakkam’s children with Jayashri Ramesh Sundaram. “I am happy that I can at least go to school here. 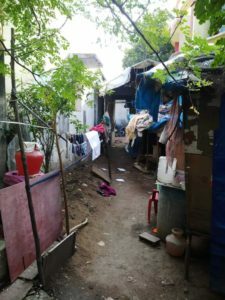 Back home we were not allowed to even live peacefully”, says 12-year-old Abdul*, a resident at a Rohingya refugee camp in Kelambakkam, Chennai. Abdul and his family are among the 40,000 Rohingya who have settled in India since 2013. Currently spread across the NCR, Rajasthan, Uttar Pradesh, Jammu and Kashmir, Telangana and Tamil Nadu, the Rohingya fight for being recognized as citizens in their own country besides being refugees in India. Amidst this tussle, like any other community, Rohingya parents hope that educating their children will provide them with a more secure future. Despite not being a signatory to the 1951 UN Refugee Convention, India’s ad-hoc refugee policy over the years has welcomed millions of refugees from diverse regions, often prioritizing the education of specific communities within them. In the case of Sri Lankan refugee students, politicians – well aware of the Tamil identity politics at play – worked impressively to ensure their integration into the state’s education system through reservations in schools and colleges. Under Jawaharlal Nehru, India went to great lengths to educate the migrating Tibetan refugees in 1959. For example, as early as 1961, the Centre had established separate Central Tibetan Schools, affiliated to the CBSE. Yet, especially for the Rohingya in India, critical educational services leave much to be desired, often because of this very same ad-hoc refugee policy. The Centre’s stance of labelling Rohingya refugees ‘illegal migrants’ and ‘national security threats’, beyond receiving international criticism, has deeply impacted Rohingya lives. For reasons obvious or indiscernible, Rohingya children stand to lose out on what should be a basic human right for all: education. There is a two storey cyclone relief building in Kelambakkam, a bustling suburb on the outskirts of Chennai. Inside this somewhat dilapidated building reside a cluster of families who constitute the city’s 90-member strong Rohingya refugee population. Most of the adults speak Rohingya, a language unfamiliar to most Indians. Yet, children jump forward and greet visitors in Tamil. This is largely thanks to free education provided at a local government Tamil-medium school. Chennai’s Rohingya children have been attending this school ever since they arrived in the city six years ago. Investing all their hopes in education and the prosperity it would bring to them, the community was happy with the standard of education when they first arrived. However, both children and parents remain frustrated with the way education services have deteriorated recently. In the absence of teachers and a defined curriculum for the children, in January this year, all Rohingya children (irrespective of their age) were put in the same classroom and taught only Hindi. “This aids us neither in Burma, nor in Chennai, where we want to stay. This was not the case when I went to [the government] school,” says 18-year-old Aisha*. Hindi is taught to the children by the school’s janitor, who happened to know the language and was willing to hold classes. Sources state that the Sarva Shiksha Abhiyan (SSA) is in charge of the children. Yet, as the school is still awaiting further orders from the SSA on how to proceed with their education, this status quo prevails. The Right of Children to Free and Compulsory Education Act, 2009 under which every child between the ages of 6 to 14 years has the right to free and compulsory education is also seen as an endorsement for providing all child refugees with an education. Aisha is able to communicate fluently in Tamil, thanks to her basic schooling in Chennai, which ended early. Aisha got married in the 7th grade, when her parents found no further use in sending her to school. While water, electricity, and shelter indicate better conditions than currently available back home, the Tamil Nadu government is yet to provide the Rohingya with allowances for subsidized rice, sugar, kerosene and dal that locals below the poverty line and Sri Lankan refugees avail. “It is very hard for us to earn enough to meet basic needs. Most girls drop out before high school to help their parents. In households where the father is not there, boys also quit school to earn meagre sums by working”, says Aisha. Globally, only 61% of child refugees attend primary school, 23% attend secondary school, and only 1% move on to tertiary education. Despite global protections for refugees, communities that are displaced for reasons beyond their control struggle the most to avail education. 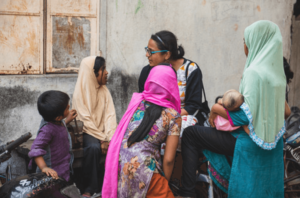 Respondents in the locality believe that teaching Hindi to Rohingya children hinders their integration with children whose mother-tongue is Tamil. “Although Rohingya children [in Chennai] attend school, they are hardly taught anything there. They are seen as ‘different’ because of the community they belong to”, says Shakira Banu, an independent volunteer at the camp. The UNHCR has played an instrumental role in creating awareness for the need to educate the Rohingya community in Chennai, acting as a key link between the community, state government authorities and the Centre. In an exchange with The Bastion, a UNHCR India representative maintains that “the [Tamil Nadu] authorities have demonstrated keen interest to address issues, despite challenges such as language barriers and possible hesitation of child refugees’ parents to send their children to school due to socio-economic reasons and other external factors”. In what he sees as papering over deep cracks, for Mudasir Amin, Rohingya children have been included into schools only because “discriminating against them won’t bode well for the Tamil Nadu state government”. Amin notes that “the UNHCR is working with refugees in India with a limited mandate and [often] through collaborations with other NGOs, who provide humanitarian aid and carry out advocacy work”. As in Chennai, Rohingya children in Hyderabad’s camp settlements attend a school under the SSA, along with UNHCR and Save the Children. 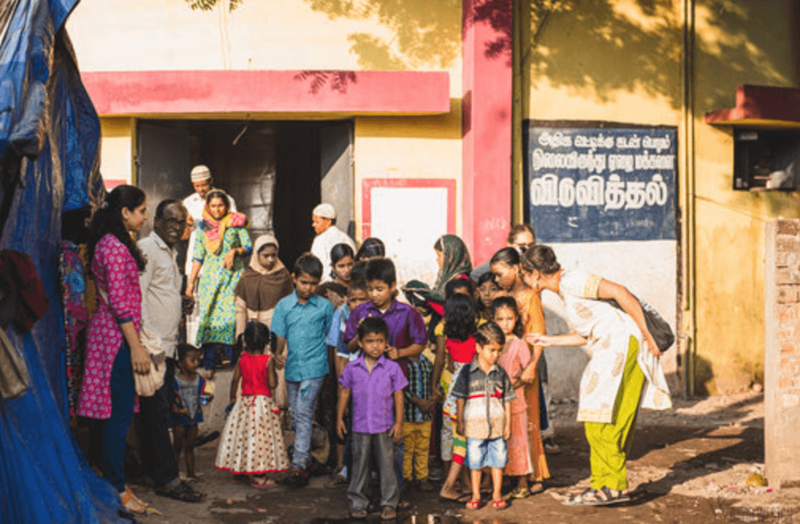 Although a much better facility than its Chennai counterpart, the school is exclusively for the community and provides no interaction with local Indian children. 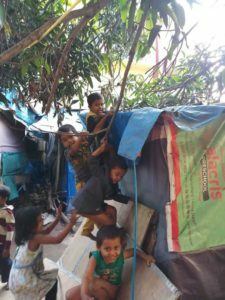 Rohingya children in New Delhi face the barrier of distance: the schools are far away with no cheap transport. Thanks to the UNHCR and a few other NGOs, children now have the opportunity to study in either in schools near the camp or in makeshift schools. This is apparent in the Rohingya community’s recent appeal to the Supreme Court of India, demanding basic health and education services in refugee camps in Haryana, Jammu and Kashmir, and Hyderabad. 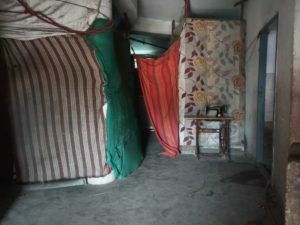 The Centre claimed that these facilities were already being provided to all refugees including the Rohingya, arguing that an interim order from the Supreme Court on the provision of these services would only attract media attention and negatively impact ongoing bilateral talks between India and Myanmar regarding the refugees. The SC ruled in favour of the Centre, refusing to intervene unless evidence contrary to the Centre’s claims was brought before it. Yet, this ‘missing’ evidence is clearly visible on the ground, whether in Kelambakkam’s small camp or much larger camps in other parts of India. That it has escaped the courtroom points to a conscious political deployment of India’s ad-hoc refugee policy, ultimately depriving Rohingya children of even the most basic standards of education. What is actually missing in this fracas is a cohesive and codified national refugee policy — one that protects the rights of all refugees and delineates the shared responsibilities between the Centre and states in providing for them.